Shirck Orthodontics always goes above and beyond to serve their patients in every way. 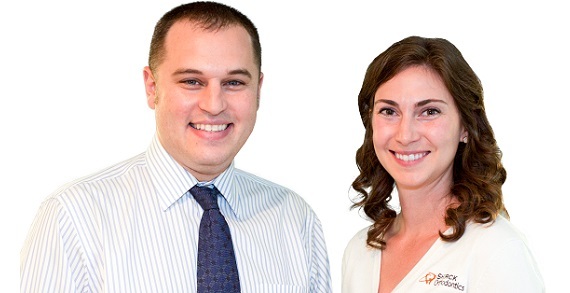 Dr. Jeff, Dr. Jen and the rest of the team truly go the extra mile to make sure you feel like a part of the family. Each time you come to see the fun and relaxed office, you’ll get all the time you need with your doctor, so they can help you get that perfect smile! Shirck Orthodontics offers every braces option under the sun — from clear ceramic braces to Invisalign®, WildSmiles custom braces… and much more! Mention this ad at your complimentary consultation to receive FREE X-Rays and Exam as well as $250 off treatment. This offer is for new patients only!